A terrified mum fled her home in Queensland, Australia, after thousands bats fell from the sky in her garden due to the recent heatwave with temperatures reaching above 40°C over several days. A powerful heatwave is to blame for the winged-animals' deaths, with many locals saying they saw thousands of bats fall from the sky. She said: "It was a scene out of a horror movie and there is still putrefied rotting carcasses are everywhere. This is a public health issue." The bats were filled with maggots when she found them in her front garden. I cannot return home until I get a cleaner to scrub my walls, furniture, linen, vehicle upholstery before the smell has permeated everything." The recent heatwave has reached temperatures of 40C, consequently killing about 5,500 bats in Ms Schoor's garden. Schoor added: "There is still putrefied rotting carcasses everywhere." One local explained she saw an entire colony of bats "hanging in trees or dead on the ground". 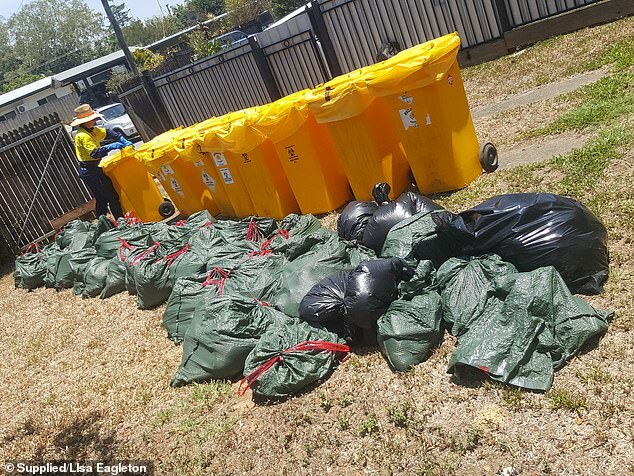 She added: "In those yellow plastic bins are at least 60 to 80 dead bats. And then in every bag you see there's another 20 to 25 dead bats from behind my house."